When Ana receives an unexpected gift from her missing father, she is catapulted headlong into a mystery that will take her on a journey through time. At last she must decide if a perfectly predictable world is a curse on humanity or a triumph for mankind. Very Positive (111) - 80% of the 111 user reviews for this game are positive. Skyworld: Kingdom Brawl is out now! 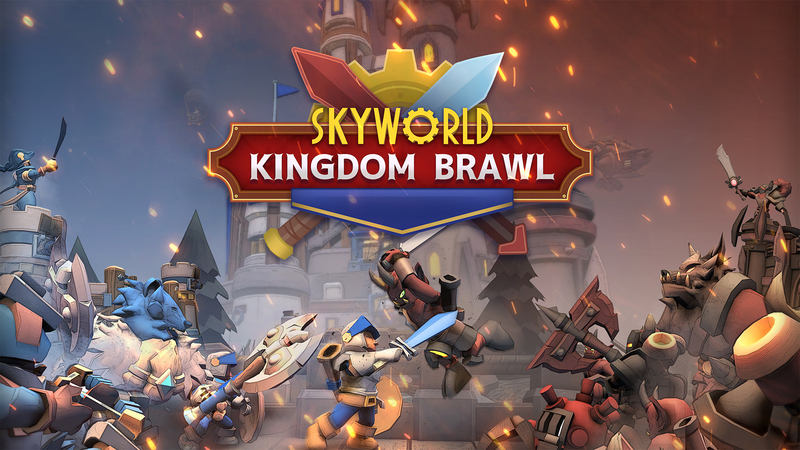 The highly competitive VR card-battler Skyworld: Kingdom Brawl is now available! Friends turn foes as players step into Skyworld: Kingdom Brawl’s merciless VR battlegrounds. Unlock, collect and upgrade dozens of cards to build a powerful deck, and watch your cards come to life as you cast spells and summon forces to wipe your enemy off the map. Join a clan, take on opponents from around the globe in regular online tournaments, and claim your place on the global leaderboards. This is no friendly battle… this is war! Skyworld: Kingdom Brawl is now available with a 15% discount in launch week only! Visit the store page here. See you on the battlegrounds!